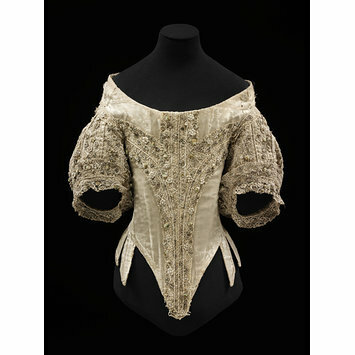 The busk is one peculiar element of early modern dress that continues to fascinate me the more that I research it. Understandably, most people have never heard of a ‘busk’ before and considering the term for it in English (derived from the French ‘busc’) is very similar to other words already in our common vocabulary, like “busking”, it can often be quite confusing when casually dropped into conversation. Yet from the mid-sixteenth century until the early nineteenth century, the busk was a commonly known part of female dress: an independent, interchangeable part of the bodies and stays (corsets). It consisted of a long piece of a stiffened substance that was placed into a stitched channel between layers of fabric in the front of the bodies or stays and secured into place at the bottom by a small piece of ribbon called the ‘busk-point’. 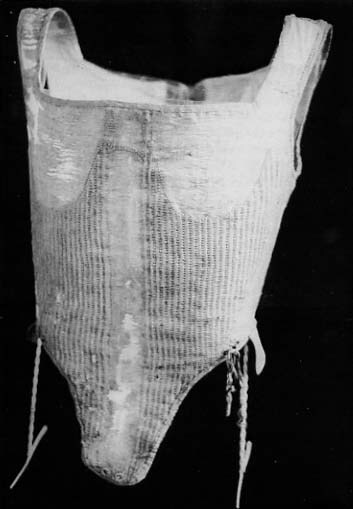 In contrast, modern and later nineteenth-century busks are incorporated in the centre-front of the corset opening. 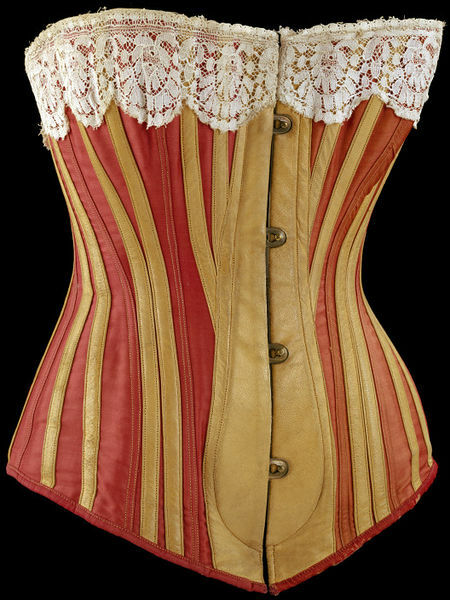 Corset, British, 1883. Victoria and Albert Museum, London Note new style of steel busk that could be separated to open the corset. According to Randle Holme’s book, The Academy of Armory and Blazon (1688), the busk existed to keep the posture erect, to ‘keep in the fullness of the breasts’ and to keep the belly flat. However, the busk didn’t just serve a utilitarian purpose in female dress. Collections of busks at the Victoria and Albert Museum in London and the Metropolitan Museum of Art in New York helpfully reveal the social functions that busks played in early modern society. Busks were often elaborately decorated with common love motifs: hearts, cupids and foliate scrolls. Some even bore portraits and lovers’ words, or poetry, making them highly personalised and emotional accessories encoded with various significant meanings. From the sixteenth to eighteenth centuries, and with decreasing frequency over nineteenth century, lovers saw the busk as a love token of affection, usually given by a man to a woman during the act of courting, thus entering into the complex social performance of courtship and marriage. The busk’s association with the female body, its closeness to the breasts at one end and to the groin at the other meant that this object was inherently sexualised and participated in the construction of early modern sexuality and sexual practices. If anyone is interested about reading more about the busk in the sexual culture of seventeenth-century England, I have an article about it here. 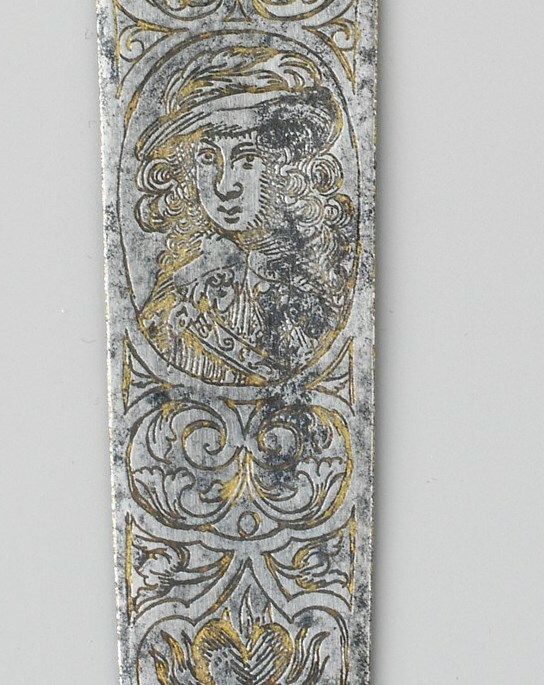 Man’s portrait on French metal busk, 17th century [detail]. Costume Institute, Metropolitan Museum of Art, New York. 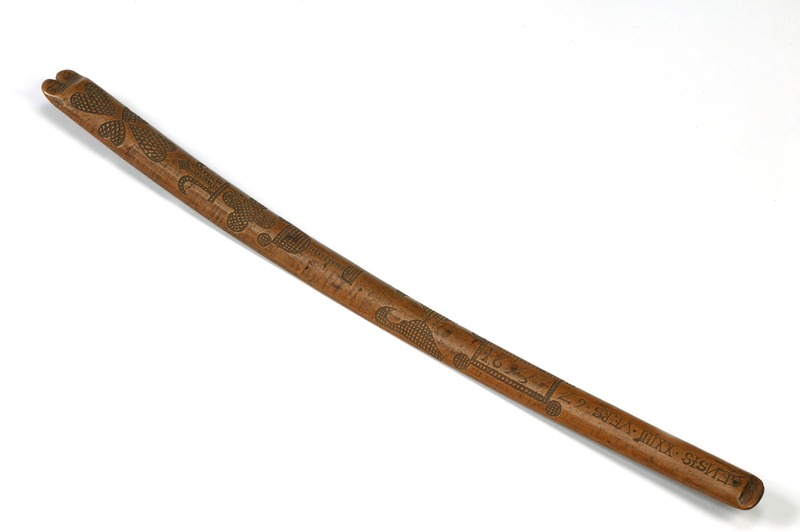 Surviving busks in museum collections are made from a variety of materials such as wood, metal, ivory and horn. Many surviving seventeenth-century busks from France are made of metal or ivory, whilst many from England are wooden. However, due to the sporadic nature of surviving material objects such as busks from the seventeenth century, it is hard to know for sure what materials were the most popular in both countries by looking at surviving examples alone. Other sources such as the wardrobe accounts of Queen Elizabeth I reveal that whalebone (baleen) was also a common material used, for example a warrant dated 28 September 1586 requested an ‘item for making Buskes of Whalesbone and wyer coverid with sarceonet quilted’. As part of the Filmer reconstruction I decided to construct a busk that would be placed into the separate stomacher of the bodies. Surviving busks vary in size depending on the style of fashion that was popular at the time of construction. For example, eighteenth-century busks tend to be short and wide whereas busks from the 1660s are quite long and narrow, as bodices during this period were extremely long-waisted. 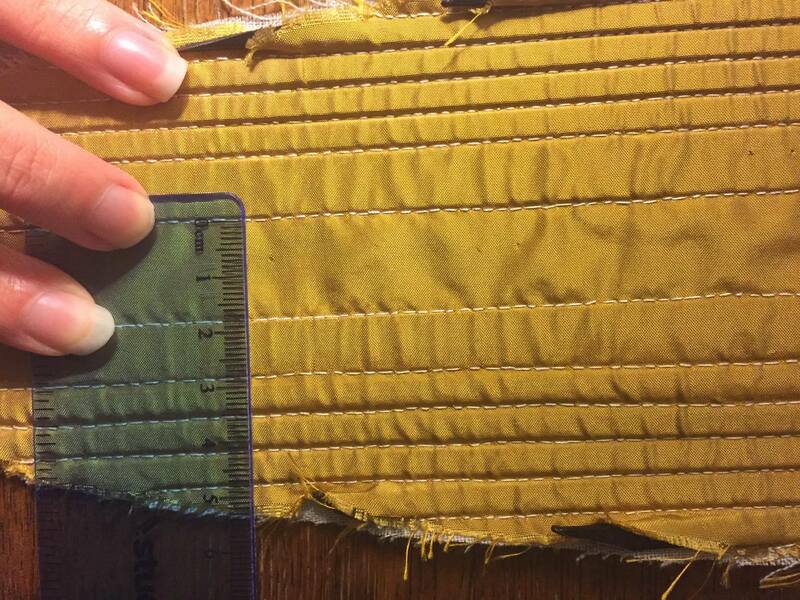 The size of my busk depended on the stitched channel at the centre front of the Filmer bodies’ stomacher, which in this case happened to be about 1.5cm wide and 34cm long. Baleen and ivory is hard to source as it is banned in may countries (for obvious ethical reasons). Other historically accurate options would be metal or horn, but again these materials are hard to source (if you don’t live near an Ox farm) and use if you are not familiar with metalwork. Therefore wood is the only historically accurate material that I could use. I’m no carpenter, so I wanted to find some pre-cut wood that I wouldn’t have to mess around with too much. 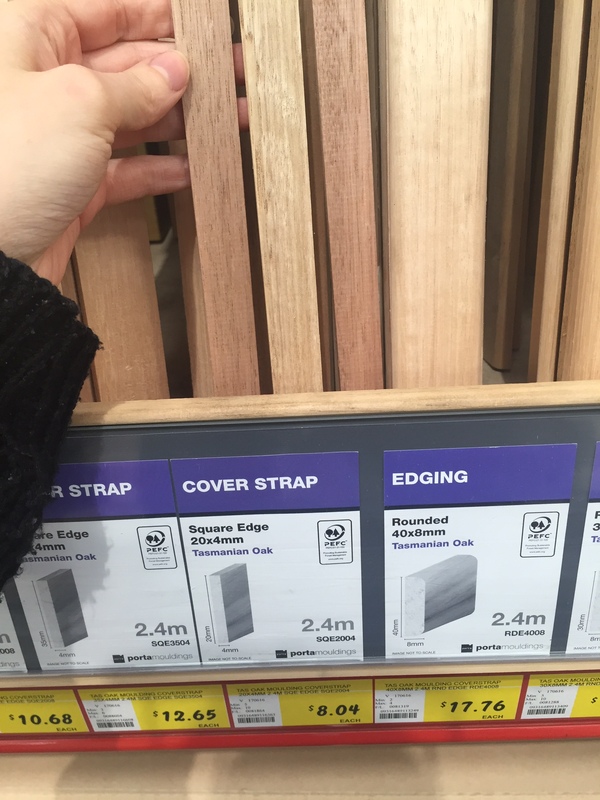 At my local hardware store I found a coverstrap made from Tasmanian Oak that measured 2cm wide and was 4mm thick. Perfect! Turning the coverstrap into a busk was quite simple and quick. Firstly, I had to cut the two metre coverstrap to size. I did this with a hacksaw in my father’s workshop. 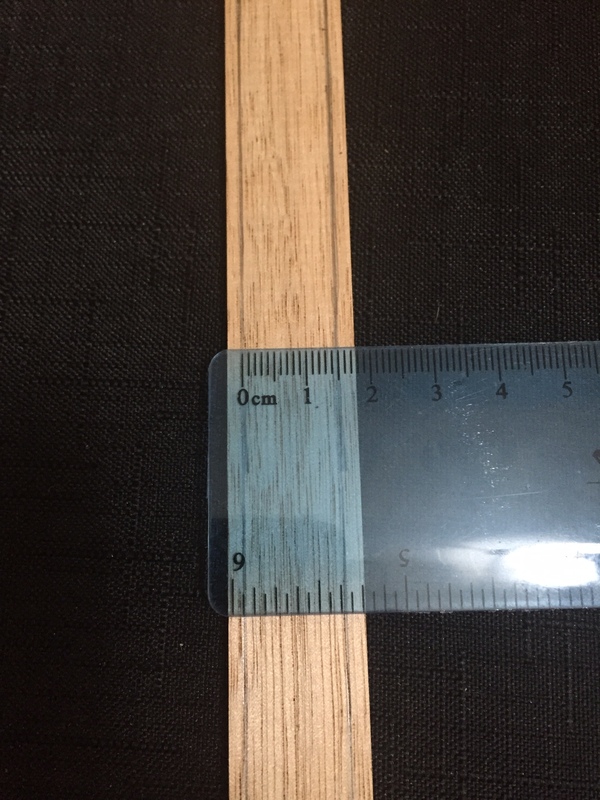 Then I had to reduce the width from 2cm to 1.5cm. 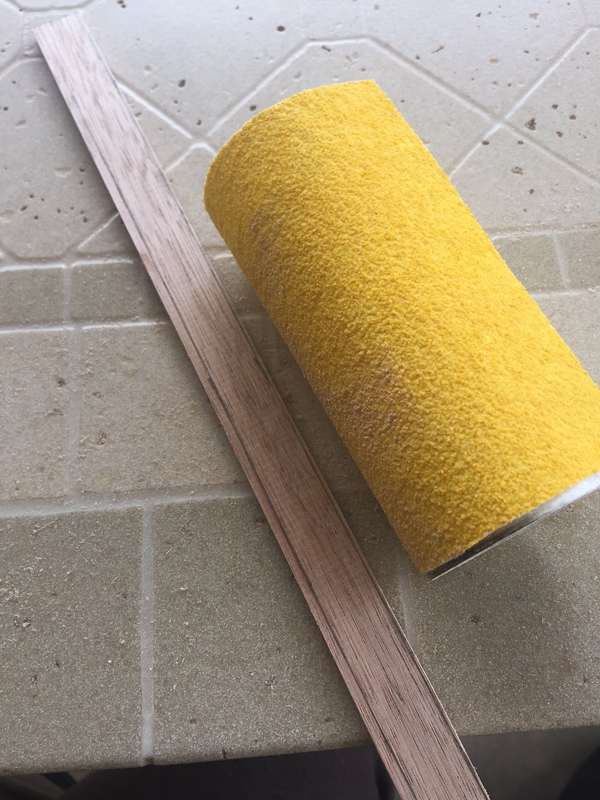 I marked the dimensions on the wood and then I used a very coarse (probably the roughest you can get) type of sandpaper to sand the width of the busk down. As this busk was going to be sewn into the actual stomacher of the bodies, and therefore wouldn’t be able to be taken in and out of the garment like many busks were, I didn’t need to varnish it and I definitely didn’t need to decorate it. However, as I will probably make another busk replica to use as a prop in presentations, I decided to use this as a test run (so to speak) for busk decoration. All I did was quickly sketch a folate design onto the busk in pencil, taking inspiration from these two French seventeenth-century ivory busks. Then I went over the design in a black ball point pen. And that’s it! 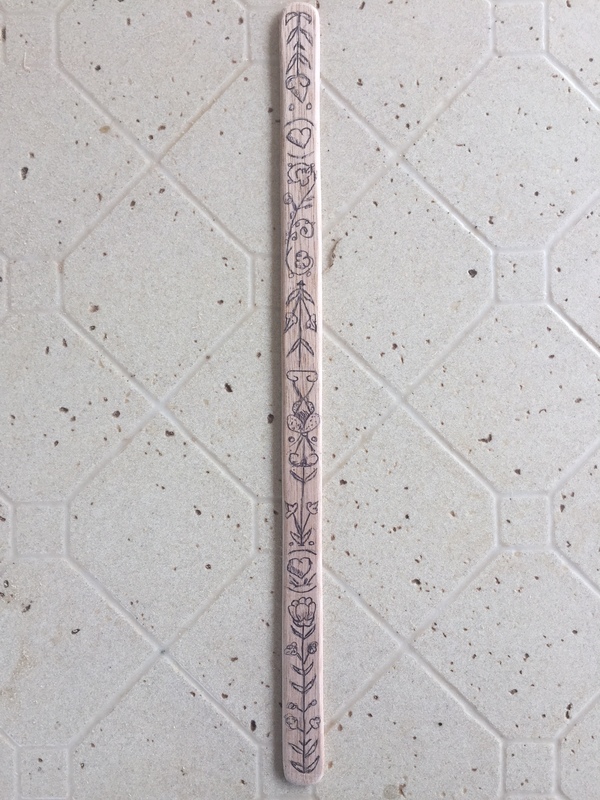 While this worked well enough, for my next busk I think I will either burn a design into the busk or draw on it with a felt tipped pen, so that the ink really seeps into the wood. Then I will varnish it. Sarah Anne Bendall, ‘To Write a Distick upon It: Busks and the Language of Courtship and Sexual Desire in Sixteenth- and Seventeenth-Century England’, in Gender & History, Vol.26 No.2 August 2014, pp. 199–222. Randle Holme, ‘The Academy of Armory and Blazon (Book III) (1688)’, cited in Patterns of Fashion, Vol. 1, Englishwomen’s Dresses and their Construction c. 1660-1860 (London: Macmillan, 1972), p. 3. Observed from a sample of surviving seventeenth and eighteenth century busks taken from Metropolitan Museum of Art and Victoria and Albert Museum collections. There are no surviving busks from the sixteenth century. 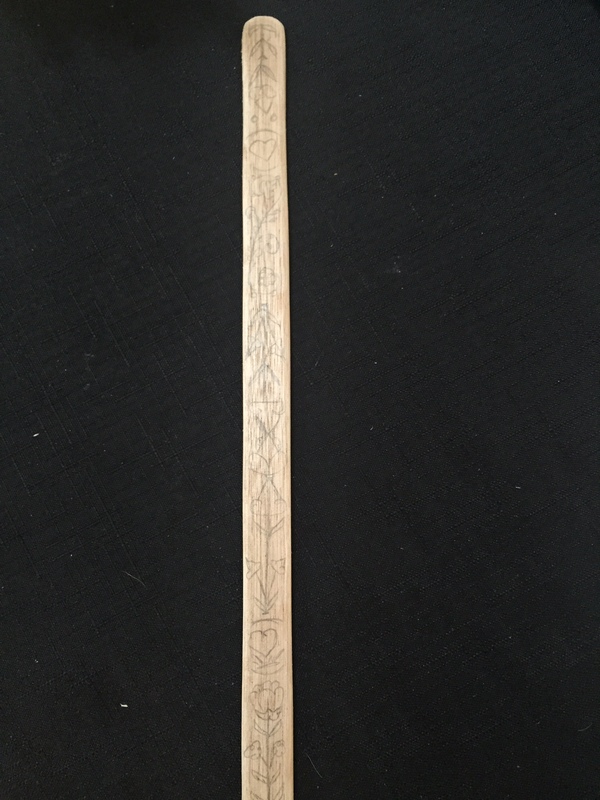 Scrimshaw busks were popular in the nineteenth century at the height of whaling practices and are featured in various museum collections. See: ‘Corset and Whalebone Scrimshaw Busk and Summary, accession no. TR*388604’, On the Water Collection, Smithsonian National Museum of American History, Keeneth E. Behring Center (2012) <http://americanhistory.si.edu/onthewater/collection/tr_388604.html&gt;.